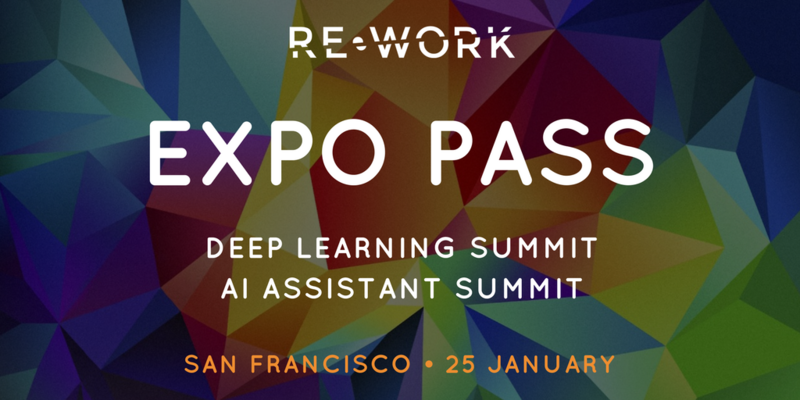 RE•WORK are pleased to announce the launch of 'Expo Only Passes' for the upcoming San Francisco events, on January 25 from 14:00 - 18:00, with access to workshop sessions, networking drinks, demos and more. 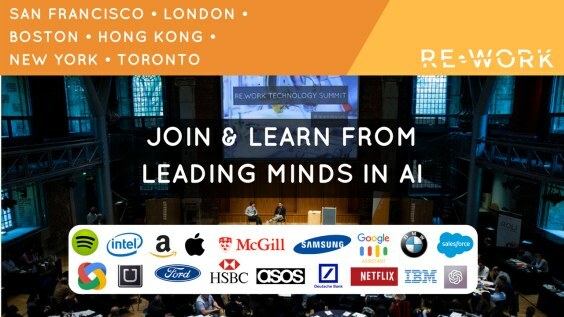 These passes are suitable for enterprise end-users of Deep Learning and AI assistant technology looking to understand and apply AI in business. Next June 28 & 29 RE•WORK will be hosting the first ever DL for Robotics Summit, the complete speaker lineup will be announced soon. 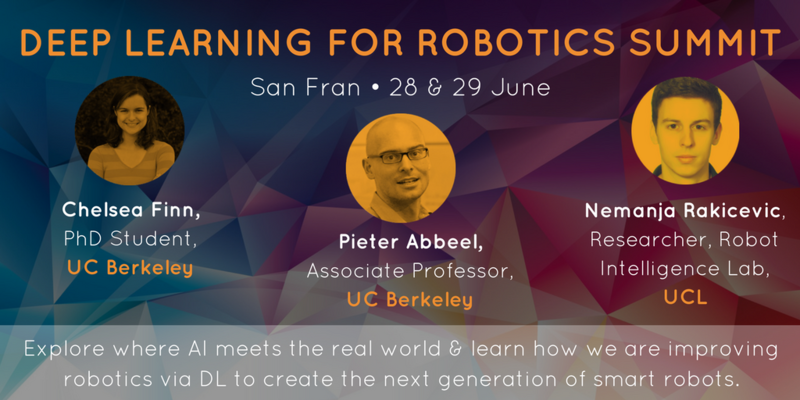 Do you know someone working at the forefront of deep learning in robotics? Drop the summit organiser, Lydie an email to suggest them now: lhorgan@re-work.co. We are excited to launch of the 'Women in AI' podcast featuring leading female minds in AI. We bring together cross-disciplinary influential women working in AI, DL & ML to explore their impact on solving challenges in business & society. Hear from CEOs, CTOs, data scientists, academics & founders. Just announced to join the lineup of the Global Healthcare Series is An Introduction to Machine Learning in Healthcare Workshop. Taking place in London on 14 February, the half day workshop will focus on advancing your skills and discover the impact of machine learning on healthcare with case studies and key insights. 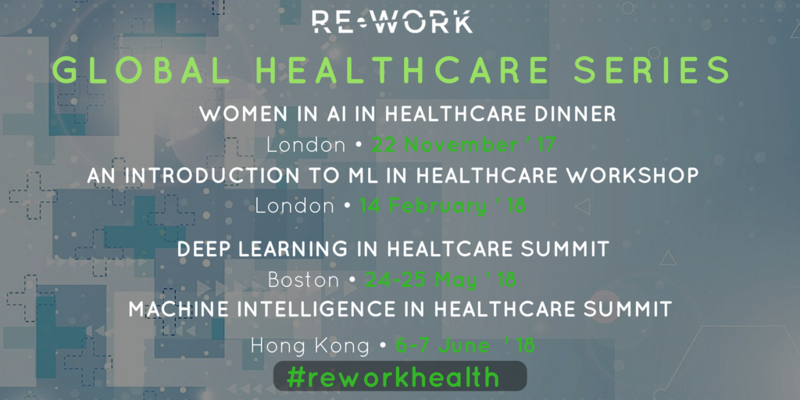 The event will welcome attendees who are looking to understand the impact of machine learning in healthcare and begin to learn about the effects of AI on the industry. Use the code KDNUGGETS to save 20% on all RE•WORK summits.